Following Jesus not only involves a reception of His work on the cross but a reception of our cross as well. 1. Do they believe and teach that Jesus is Lord? 2. Do they teach and live a lifestyle of self-sacrifice or self-indulgence? The second question made me sit up and take notice. What a great and often unasked question! Does the way of life in our church resemble the way of life Jesus called his followers to live? 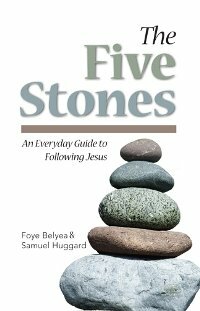 Stone 3 reminds us that following Jesus involves a daily rhythm of self-sacrifice. We are to daily lay down our plans and agendas in order to follow Jesus in living His way of life. This must happen daily, for our daily rhythms shape our lives. If Jesus is to be Lord of our lives, He must be Lord of our days. "We are children of God. We exist to be loved with everything He is and to love Him with everything we are." "We are servants. We will love others with the love of Christ seeking their welfare before our own." "We are stewards of the Gospel. We are sent to make more and better disciples of Christ wherever we go." These affirmations are not magical; they simply remind us of truth that we so desperately need each day. The truth is that the way of daily self-indulgence is the way to lose our life. The way of daily self-sacrifice is how we find true life in Christ.